This year our Welsh challenge is being fully supported by the wonderful team at Agile Therapy. 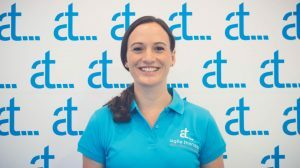 A Cardiff based clinic, Agile Therapy provide the very best in Physiotherapy, Sports Massage, Chiropractor, Orthotics, Podiatry, Sports Nutrition & Dietetics. Anna Wardlaw will be one of the many experienced clinicians attending our challenge, helping with all things from physiotherapy to pilates to acupuncture! Here Anna gives us her top tips on how to keep yourself fighting fit (and performing at a higher level with reduced risk) before you step out onto the velodrome track. There are three main causative factors of knee pain in cyclists: setup, cleat alignment and stretching. Aching pain at the top of the knee could be quadriceps tendinitis brought on from poor saddle setup, sharp pain in the knee is likely due to maligned cleats, and anterior knee pain due to shortened hamstrings. Paying attention to frame size and saddle height, cleat setup, and getting a good stretch into those hamstrings, gluteals and quadriceps can save you from weeks of pain in the future. Spending a lot of time in one position will irritate any muscle, however being hunched over, in a position created to pedal strokes as strongly as possible, causes a lot of excessive stress through the spine. Having tight hamstrings will also create pull on the pelvis, adding more unnecessary pressure. Do yourself a favour and use those abdominals we both know are in there somewhere, set your back straight, and for goodness sake stretch those hamstrings. Tension into the muscle that starts at the base of the skull and runs along the sides of the neck all the way to the shoulders most often causes neck pain. These muscles get overworked and tired from carrying the entire weight of the head in an extended position over a long period of time while riding. Get rid of it by loosening that vice-like grip on your handlebars, and relaxing your shoulders. Watch your posture and make sure your bike fits well with your body. Did I mention tight hamstrings yet? Tension into hamstrings and calves is very common and often underestimated. You may not even feel tight through here as your body has already adapted to the constant motion of cycling. Tightness may not feel like a problem now but can lead to tearing. Always warm up effectively before a cycle and cool down after. Stretching and the dreaded foam roller will help. Can’t handle the foam roller, or can’t face stretching? Get a sports massage! After many hours in the saddle, you may start to feel some friction between your clothes, skin and the saddle. This can lead to horrible rashes, or, saddle sores. Want to avoid this nasty problem? Aim not to place the saddle too high and wear low friction cycling shorts. Using a cream can help to relieve friction as well. Unsure of what to do if you get injured on the day? Never fear, Agile Therapy will be there supporting you for the full 24 hours. Find us on the day for all sorts of treatments, advice and support. We are here for you! 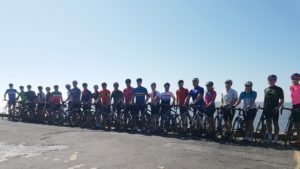 Many thanks to Anna and the team at Agile Therapy for supporting our brave cyclists taking part in this years Cyclone24 Wales. If you have any questions for Anna or the team, or would like to talk to them ahead of taking part please contact them on 02920 099400.